Should female runners get double lottery chances in male dominated races? 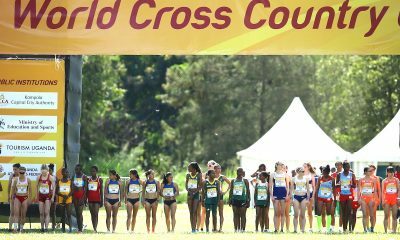 After recent calls about gender equality in cross country, the subject is at least being well discussed. 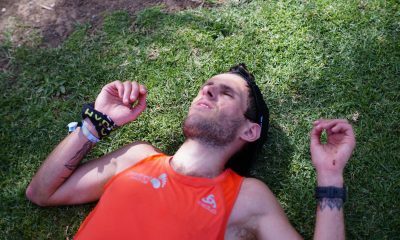 In trail and ultra running the distances are already equal, however, participation numbers are not. Ultra runner Kat Short tweeted recently that under 16% of the start list at the Eiger Trail 101 in Switzerland was female and that she felt this was a “depressing statement for women’s running”. Little did Short know that this number is one of the higher ones. Races such as the Ultra Trail Mont Blanc (UTMB) and Lavaredo Ultra Trail actually publish gender distribution statistics and they make interesting reading. The UTMB festival consists of a number of races, including the marquee 170km UTMB, which has an astoundingly low 9.5% females on its start line. The other races fair slightly better – 101km CCC (17.1%), 119km TDS (11.4%) and the 57km OCC (23.1%). There is a clear pattern that the longer the races get, the fewer women participate. The 119km Lavaredo had 13.71% female starters in 2018, up from 13.0% in 2017. It is improving, but not at a huge rate. Athletes like Rory Bosio, Lizzie Hawker, Mimmi Kotka, Emelie Forsberg, Ellie Greenwood, Caroline Chaverot, Courtney Dewalter, Andrea Huser… the list goes on. These are athletes that both male and female runners should be looking up to. Pushing boundaries, winning races and climbing onto podiums and top ten positions overall. Is the media coverage of female ultra and trail runners less? Possibly. Races often have reports of the male winners and sometimes you even see presentations start before the female podium has been fully decided. The race is literally still being decided. Now you will hear the argument that male competition is stiffer, the overall level of female running is lower and the racing less exciting and shouldn’t be covered as much. Why is this the mindset? It wasn’t until the late 1960s /1970s that women were considered “able” to run marathons. Society had said it wasn’t possible. The pathways for a male runner to get into ultra and trail running are easier. Society says that for a man to travel to another country and go run up a mountain on his own is fine, yet if a female runner plans the same there would most likely be voices of concern. Yet the New York Marathon saw almost 42% females on the start line in 2017, with Shalane Flanagan’s win probably the more widely reported of the race. The Boston Marathon had almost 45%. Women do want to run long. Pro female bias in race lotteries is one idea. Any event that sells out in the ultra trail world now has a lottery system. UTMB is oversubscribed by huge numbers, with nearly 20,000 people applying for 9,000 races spots in 2017, with the vast majority of the applicants male. The percentages of those applying will, statistically, be very similar to those chosen. It’s how a fair lottery works. Yet could we change this? One way to double the percentage of female participation instantly is to reward each female entrant with twice the lottery tickets. 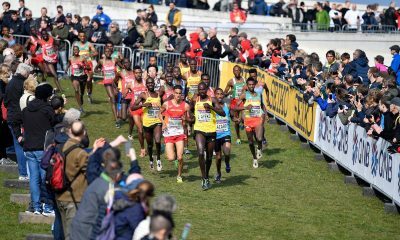 Straight away you would see female participation on the start line likely doubling. Yet, in reality, doubling the female chance of lottery success is only a tiny step in making things a little more equal in life. For a female runner to get to the point where they feel they can enter the UTMB it is a whole lot harder. Society makes it this way, from the availability of kit, role models in the media and going against society’s “that’s not very girly” attitude. The term “privilege” is often misunderstood, yet it applies to the gender debate too. Many say “well my life has been hard and I’m male. I made it through”. That’s right, but it misses the point. Your life would likely have been harder, in exactly the same circumstances if you were female. Or from a minority. From likelihood of getting a job, how you were treated at school, how the media teaches you to behave and the still large disparity between male and female wages. It’s still easier being a lad in this world. 10% just isn’t right. The situation may only need this push for a few years, as more and more female runners hit the start lines. Female trail runners are statistically more like to finish as well, mainly due to better pacing and only starting when they are confident of finishing. When there is even difficulties for a female runner deferring a race place when pregnant, then are we really doing enough? Maybe in five or ten years time, every club will have a female ultra running role model. Every woman aspiring to be an ultra or trail runner will know someone who has done it before. Even just more kit available, specific to female runners, to make the possibility seem more realistic from the start. Personally, my role models include athletes like Mimmi Kotka, Sarah Tunstall, Ida Nilsson, Ruth Croft, Sophie Grant and Natalie White. It’s not because they’re female, it’s because they’re f**king awesome. What’s tougher, 5k or an ultra marathon? 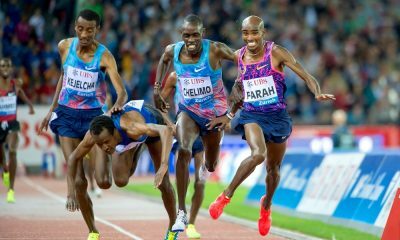 Athletics World Cup: where’s the long distance running?